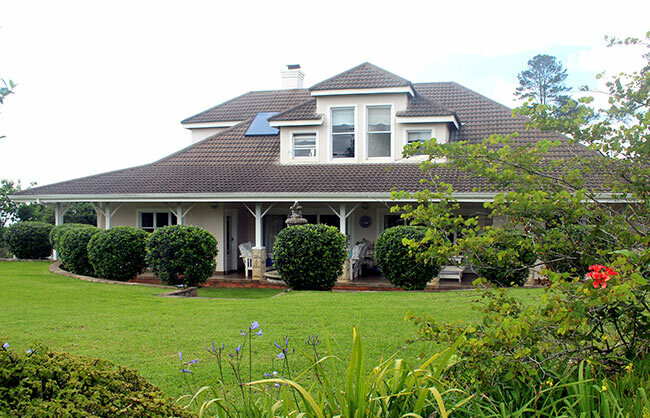 Plot prices range from R375 000 upwards and current building costs are approximately R6 500 per sq. meter. This house is 180 sq. mts and would cost approx R1.2 million to build, including the plot it would be approx R1,6 million. This house is 260 sq. mts and would cost R1,7 million to build, including the plot it would be approx R2,3 million. 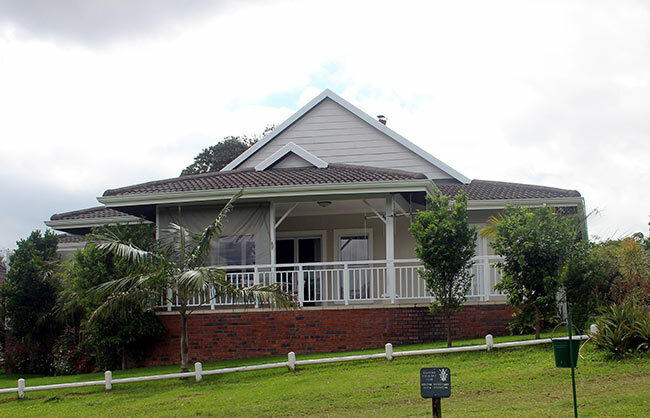 For all enquiries, please email Eshowe Hills on info@eshowehills.co.za. Download the PDF map of plots and prices. A 10% deposit is required on signature of the sale agreement. No further capital payments are required until the 3 years is up, of course most people pay a monthly figure to reduce the debt. A minimum monthly payment is required to cover the levy, of R1720 per month and interest on the outstanding balance at prime minus 3%. At present prime is 9,5% so we are charging 6,5%. Transfer passes when the debt is paid in full. No collateral is required, security on the plot being sufficient. Levies are R1720 at present, they are reviewed on the 1st of March each year.The levies cover the cost of maintaining the estate and its security. The levy includes full club membership for 2 adults and covers all sporting sections.